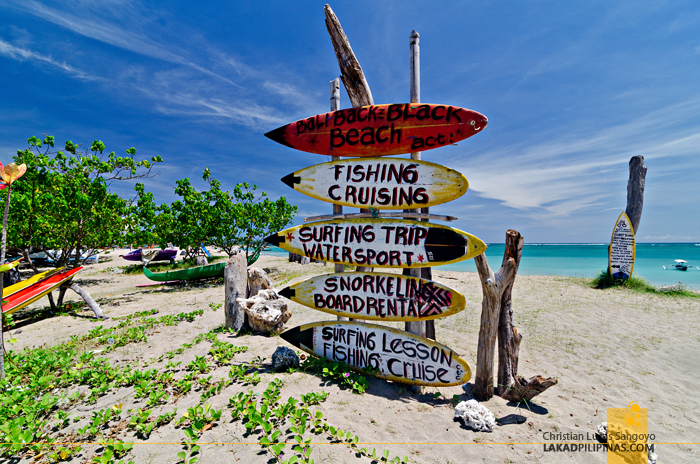 How many beaches are there in Bali? 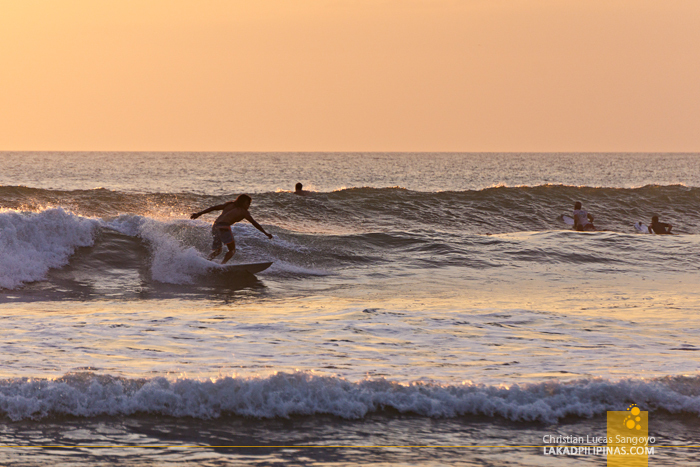 That was the thought that was running through my mind as we savored our last sunset on the island, pastels painting the lower part of the horizon as surfers glide through the curling waves. 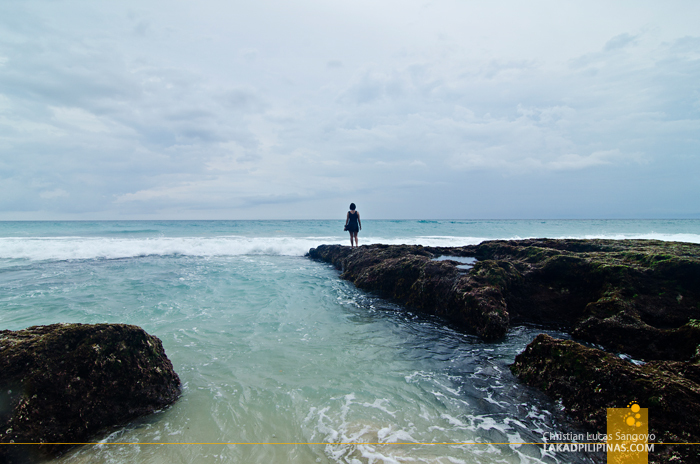 We’ve just spent almost two weeks on the island, exploring the temples and waterfalls of Bali, and of course, its beaches. 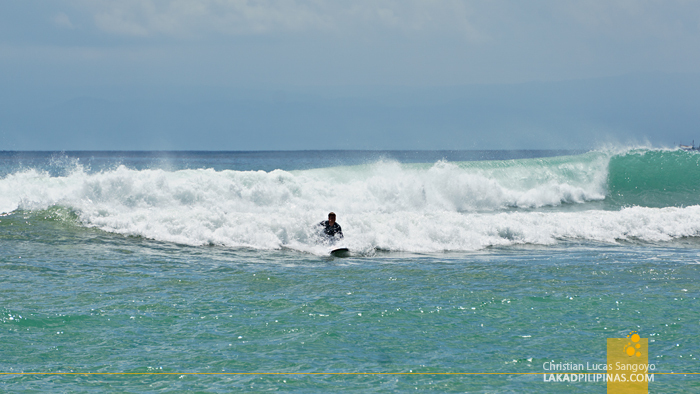 We’ve seen quite a lot, swimming on a few and wishing we actually know how to surf. 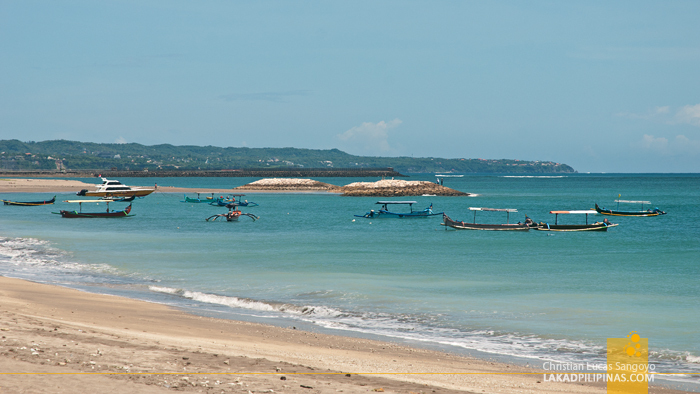 Bali, Kuta particularly, emerged on the tourist map during the eighties, being a popular stop for backpackers doing the South East Asian route. It was part of the backpacking forefather’s three K’s—Kathmandu, Khao San Road, and Kuta. 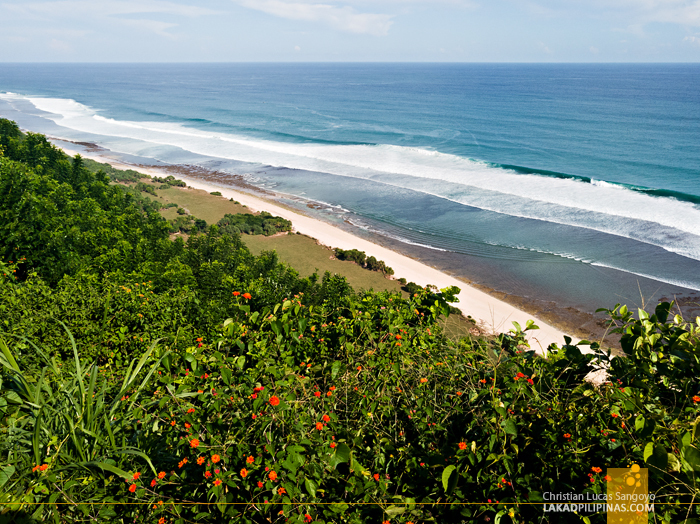 Today, Bali may not be the Promised Land that it once was, most beach places are already crowded, development uncontrollably mushrooming, and vehicular traffic is something you don’t want to be caught in. Still, the island’s beaches are still worth visiting and there are actually some places where there are hardly any people. My advice for people going to Bali, enjoy it for what it is. 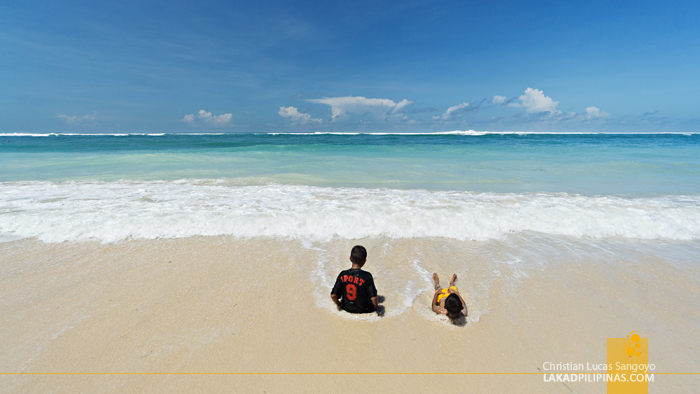 Most of the popular beaches in Bali is located on its southern part, along the Badung Regency. There are a lot of beach places on its western and eastern shores—you can actually witness a sunrise on one side, that is if you’re sober enough after partying the night away, and a sunset on the other. 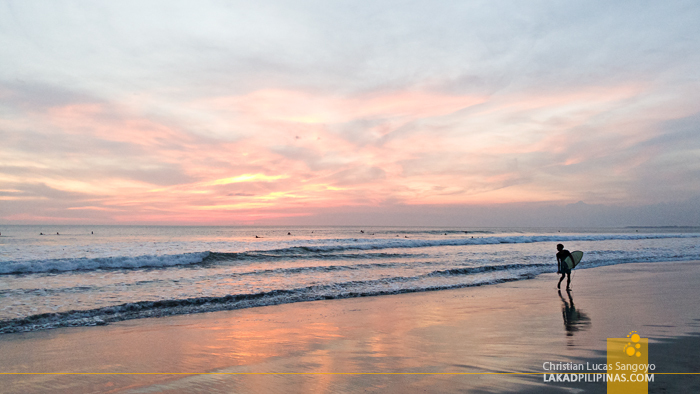 On a single day, you can probably visit about four to five beaches, finishing your tour on a sunset. Doing this DIY is next to impossible unless you know how to drive a motorbike. If you don’t know how or if you’re in a group, the best thing to do is hire a van with a driver, which is pretty affordable in Bali. We personally went for the services of Bali Golden Tour—with Putu Yudhi reliably handling the wheels—and we weren’t disappointed. 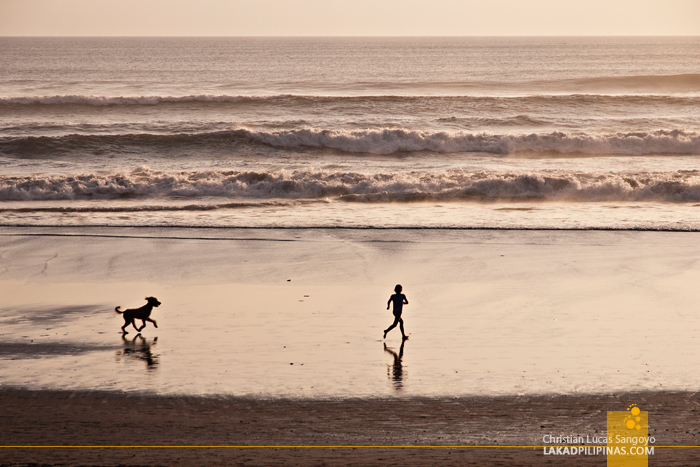 Pantai Seminyak, as the Balinese call it, is the most posh beach in the whole of Bali. This is where the most luxurious resorts (and we even got to stay on a couple of these, Alila Seminyak and Trans Bali), restaurants, and boutique stores are located. 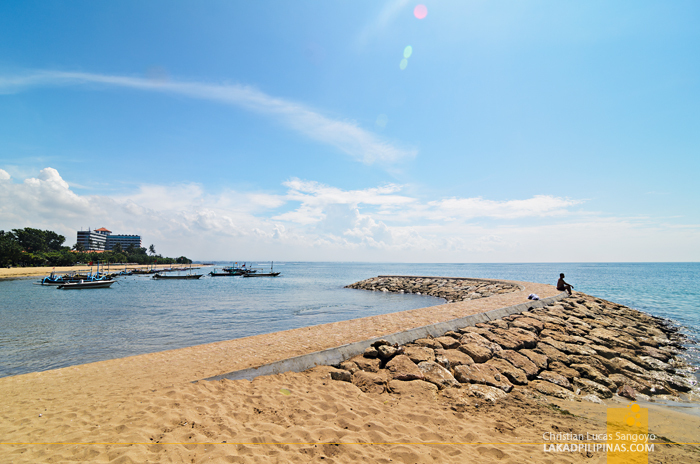 The coastal strip is divided into three beaches—from the south, the Pantai Arjuna or Blue Ocean Beach, then Pantai Petitenget, and Pantai Batubelig on the north. 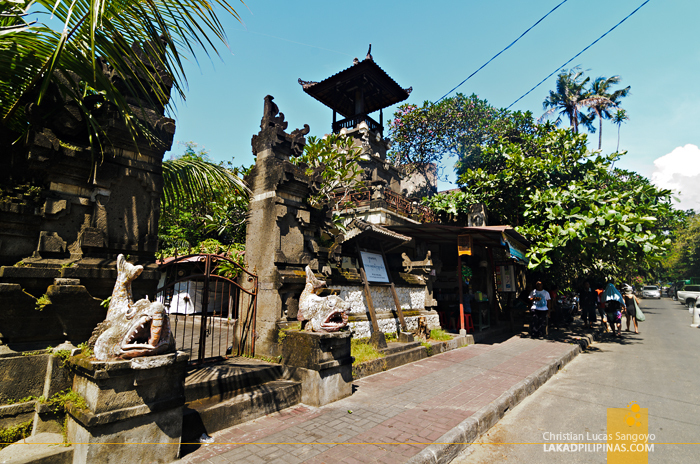 Seminyak gets a lot of crowd, especially during the afternoons, but the people gets thinner as you go further north. 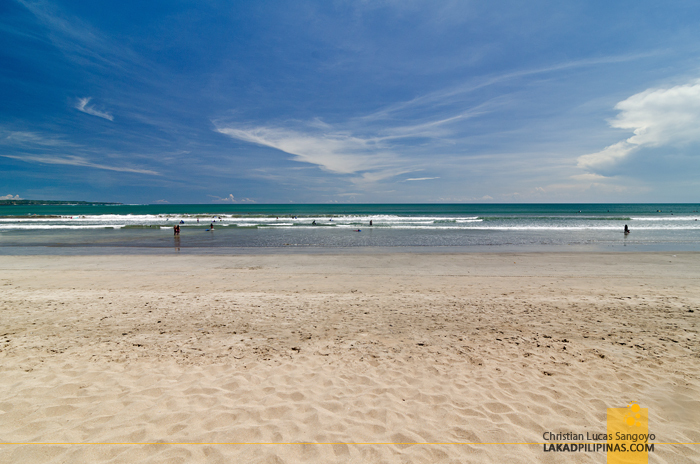 The most popular of Bali’s beaches, Kuta Beach, is where everything’s at. 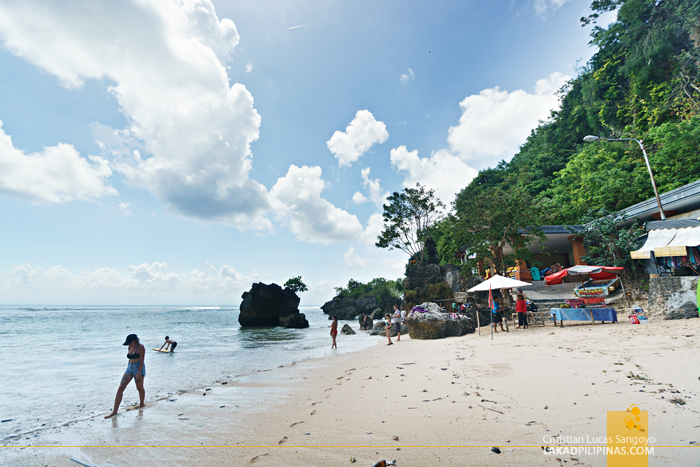 The five-kilometer stretch of white sand is separated by a Balinese fence from the traffic-congested road where the bars, restaurants, shops, and even malls, are. 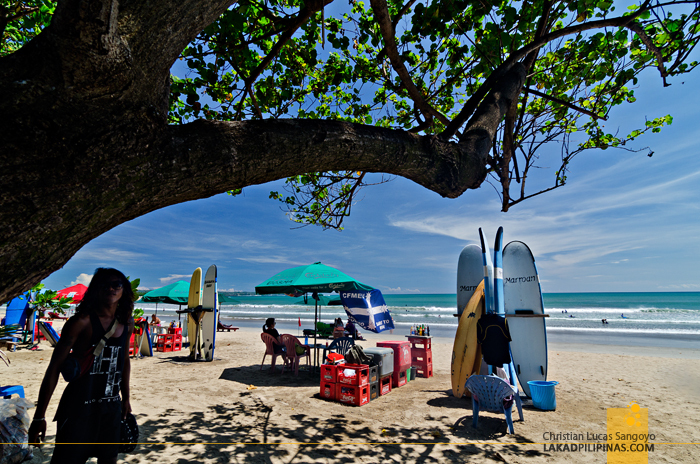 It is the penultimate Bali Beach—you can surf, you can learn to surf, you can swim, have your fill of cheap eats, and even have a Bintang Beer by a parasol while munching away on a McDonald’s Big Mac. 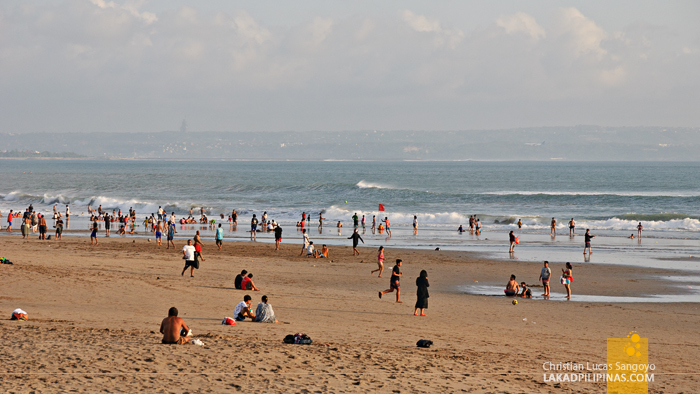 The beach is magnificently crowded all through the day, perfect for people watching. 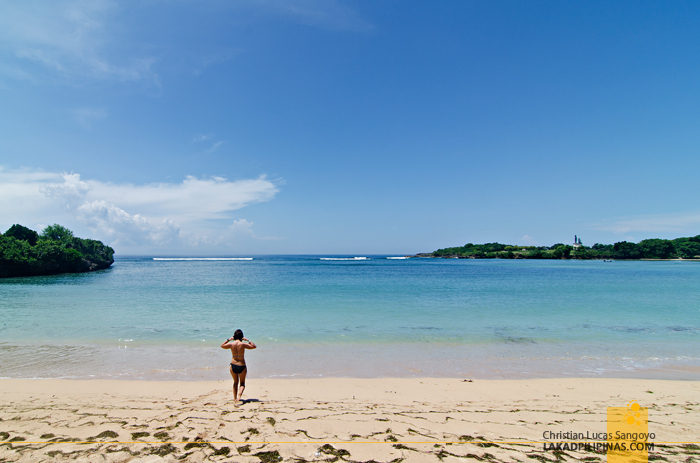 Not really a popular Bali beach, we stumbled upon Jerman Beach, Pantai Pasih Perahu for the locals, when we stayed at the nearby Rama Beach Resort and Villas during our first trip to the island. 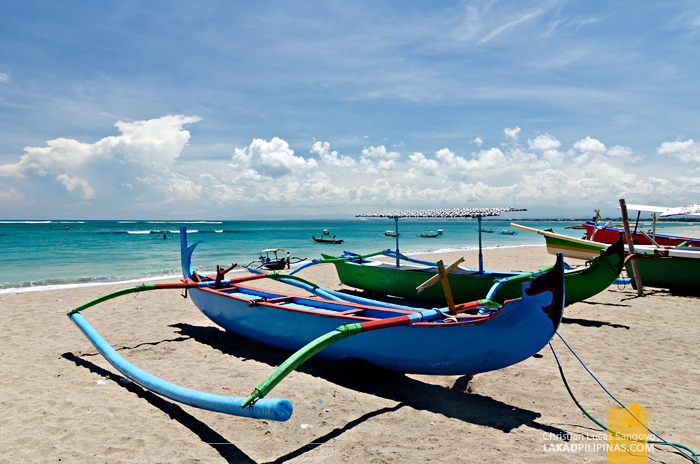 The beach stretches for almost two kilometers from the runway of the Ngurah Rai International Airport with Balinese juku boats docked along its sand. It’s said that it got its name from the Germans who help construct the airport. There’s not much tourists along this stretch although there are a lot of lodgings, restaurants, and bars along its shore. Once a secret beach, Dreamland Beach is a dream gone awry—for its developers, at least. 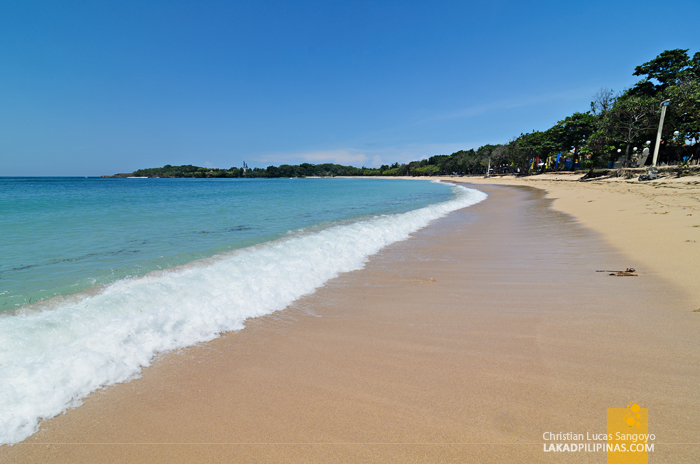 Dubbed by locals as Pantai Balangan and now known as the New Kuta Beach, it used to be quite inaccessible for tourists until the Pecatu Graha development came about which transformed four hundred hectares of hilly land into resorts, beach clubs, and a golf course. We reached the beach by riding a free shuttle service from the parking lot where our tour van dropped us off. And we were pleasantly surprised. 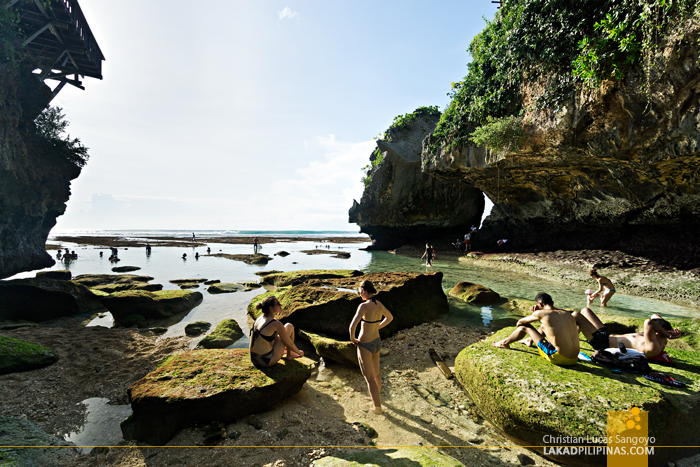 The half-kilometer stretch of white sand fronting a frothy sea is actually beautiful in a forgotten place kinda way—the old and paint-peeled structures being surrounded by limestone cliffs and a boulder-strewn shore. 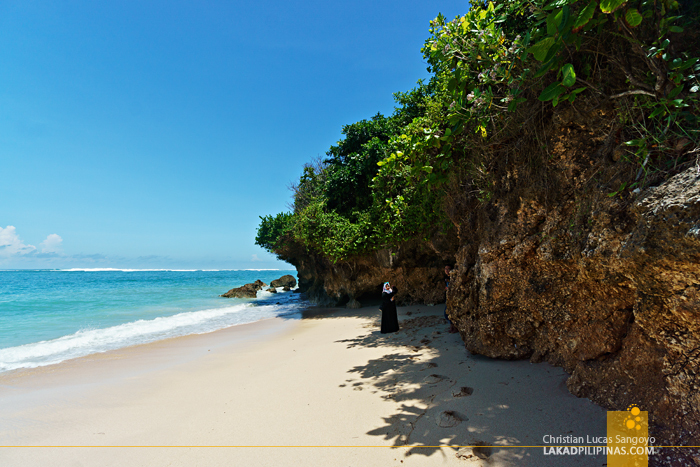 Pantai Labuan Sait or Padang Padang Beach is one of the rare beaches in Bali where you have to shell out a few thousand rupiahs to be able to enter. 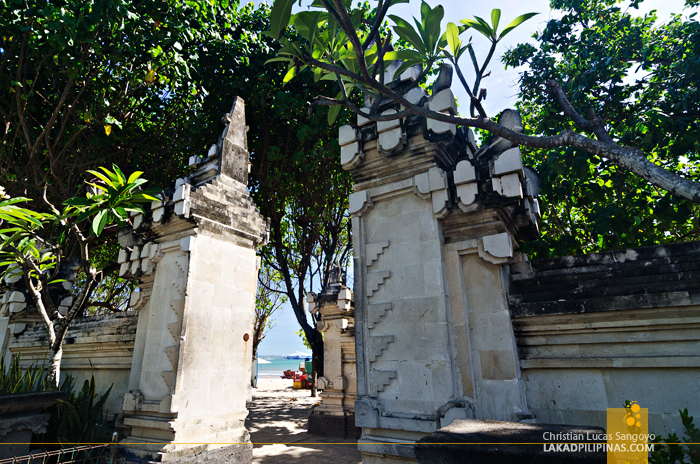 From the road, you descend a flight of concrete stairwell that passes through a Balinese shrine, before opening to a pocket beach. 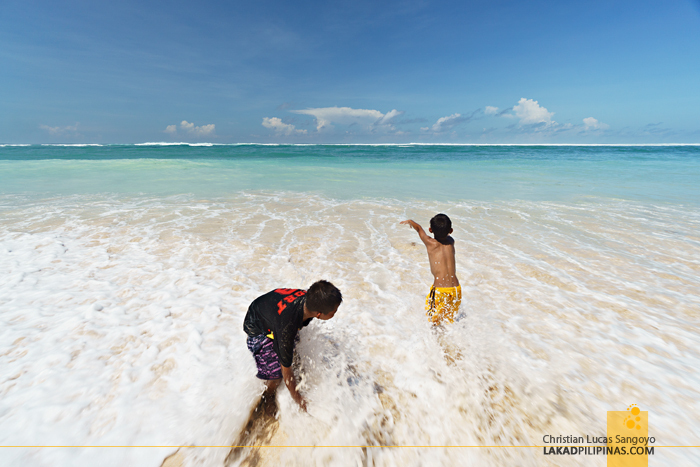 What was once a coveted secret beach, the seventy meter stretch of sand is now replete with vendors hawking nasi campur along with hats and colorful sarongs. It probably shot to stardom after it became a location for the Eat Pray Love movie. 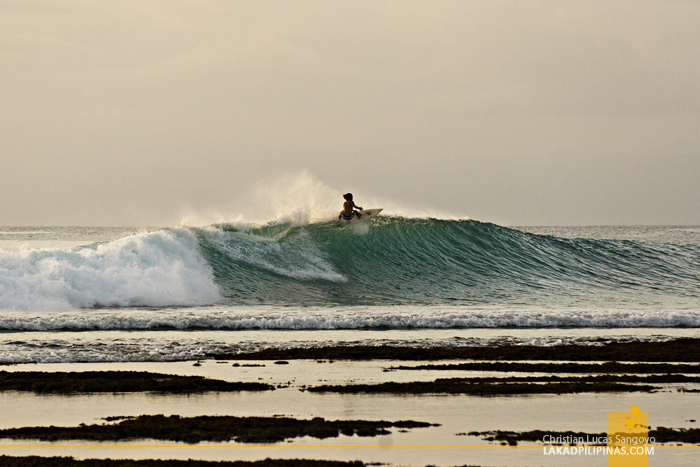 I still find the beach to be beautiful though, gentle waters along the shore and a reef break farther out for surfers. 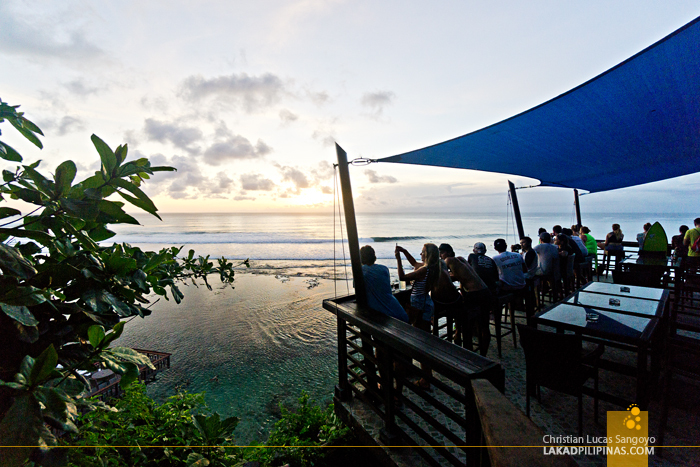 Indeed, this place is particularly popular with surfers, having a consistent set of barrels year round. 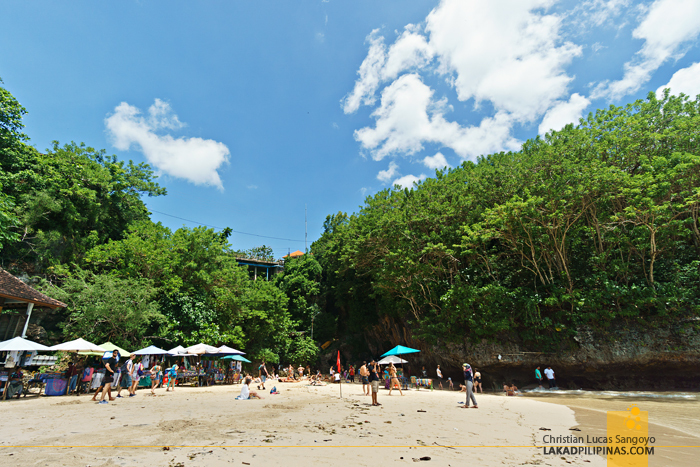 My favorite beach in Bali, Blue Point Beach can be reached by navigating a maze of stairs fronted by funky surf bars overlooking the Indian Ocean. 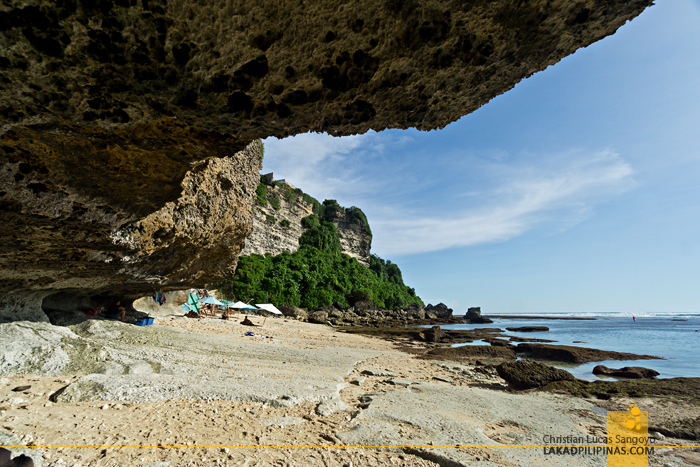 You then emerge on a cave at the bottom with two egresses, one leading to a pocket beach fronting a reef break with massive waves that surfers play on, and the other, a longer stretch of white sand with shallow natural pools where you can soak and find your inner zen. 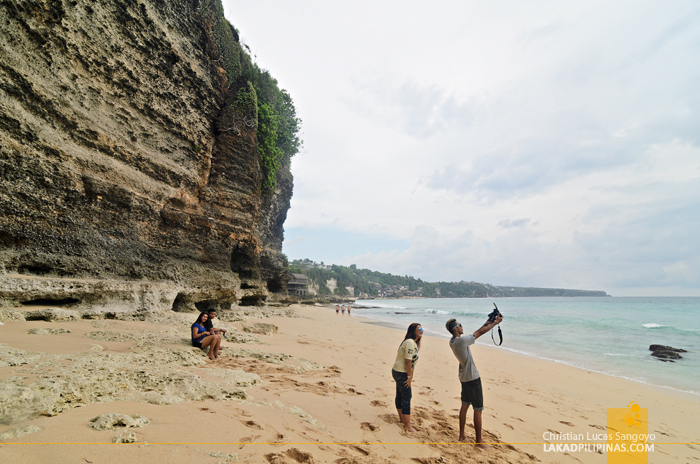 The limestone-walled beach is originally named Suluban Beach, after the Balinese word mesulub which means to bow down, but has somewhat been nicknamed Blue Point Beach after Blue Point Bay Villas, a popular luxury resort located on the entrance of the stairs leading to the beach. 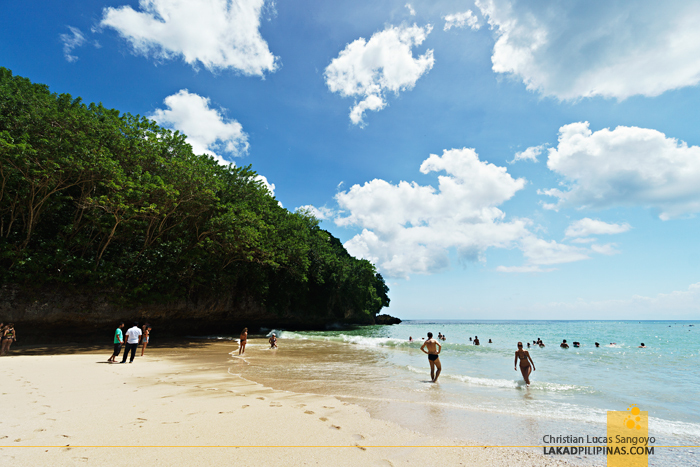 Looking for another beach place to check out, our driver led us to Nunggalan Beach or Nyang Nyang Beach. Its two-kilometer coastline can be accessed by going five hundred steps down, which takes around thirty minutes to traverse. 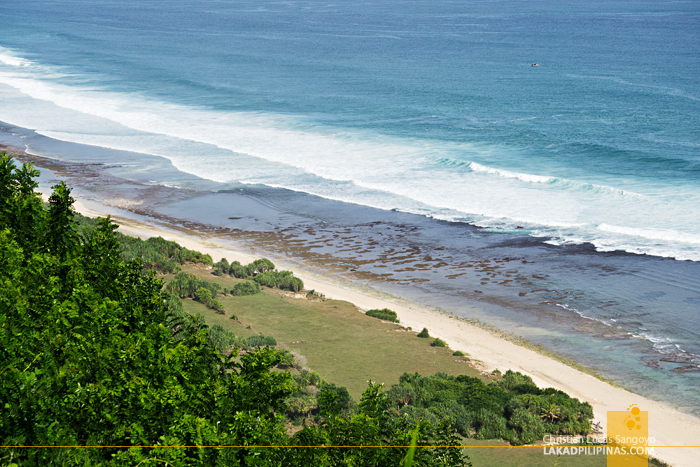 With Bali’s sweltering summer heat, we really didn’t find the walk down—and the climb up—to be that inviting. Which was too bad since from the precipice where we took a peek of the beach, we saw it to be totally devoid of people and its aquamarine waters looked the perfect place for a swim. 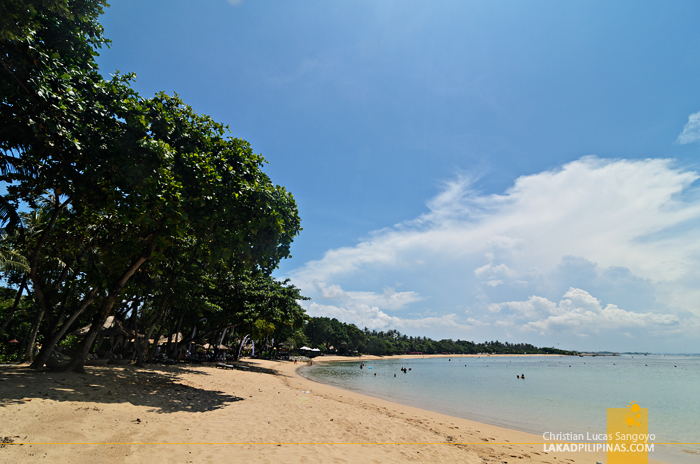 The beach is actually divided into two parts, Nunggalan on its east and Nyang Nyang on the west. Those that took the plunge and actually went down reports of a shipwreck half-submerged on its sandy banks. 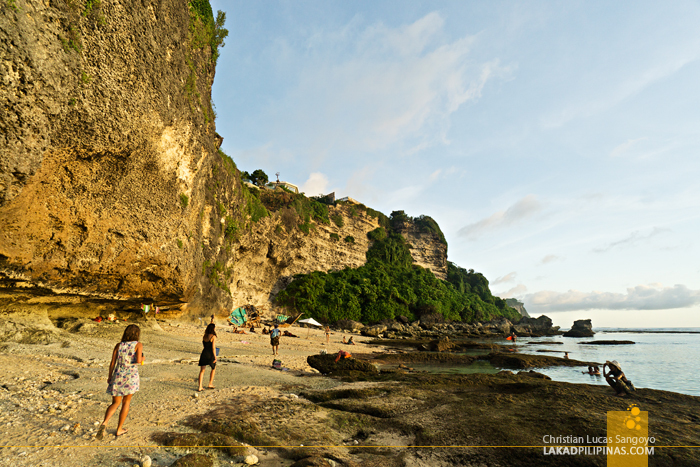 Another once-hidden-beach in Bali, Pandawa Beach opened its doors to mass tourism after massively bulldozing parts of a limestone cliff to give access to vehicles. Passing the carved walls, we saw huge niches with larger than life sculptures of the Pandawa Lima from the Mahabharata epic—this is actually where the beach got its current name. 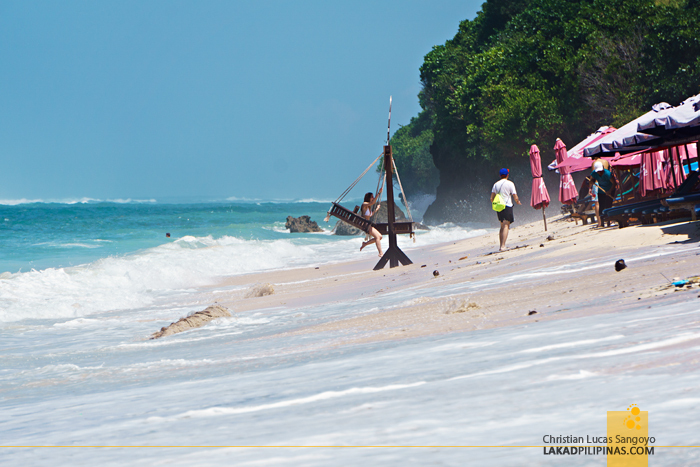 The one-kilometer stretch of beach itself is pretty sweet—the whitest sand I’ve seen in Bali so far, bordered by a beautifully turquoise waters. A line of affordable warung eateries line the shore, also one of the cheapest I’ve seen on the beaches of Bali. 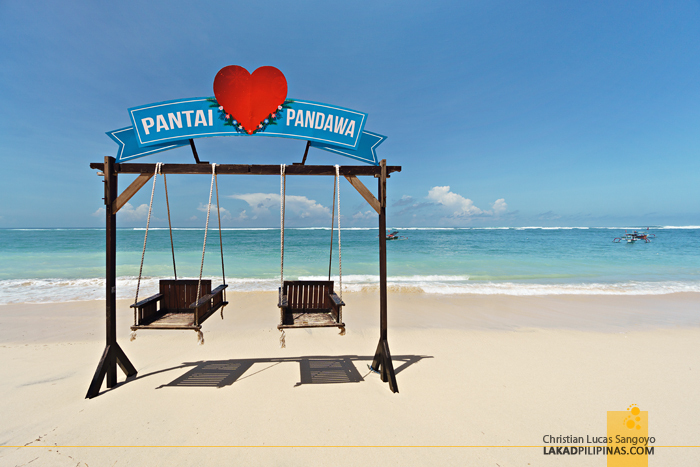 A double swing right on the shore along the western part of the beach, similar to those in Gili Trawangan, is quite popular with tourists. 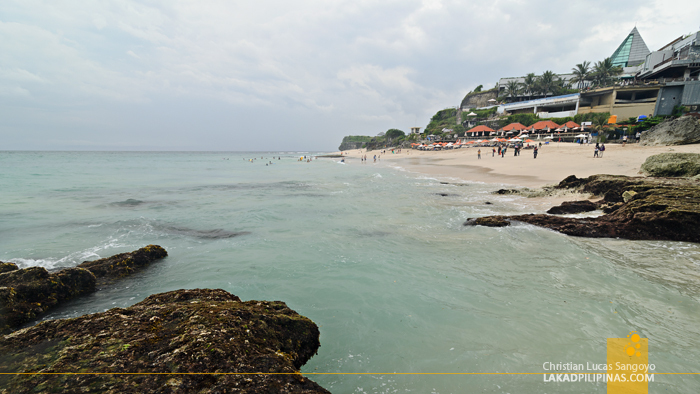 One of the beaches where we actually swam in was Nusa Dua. 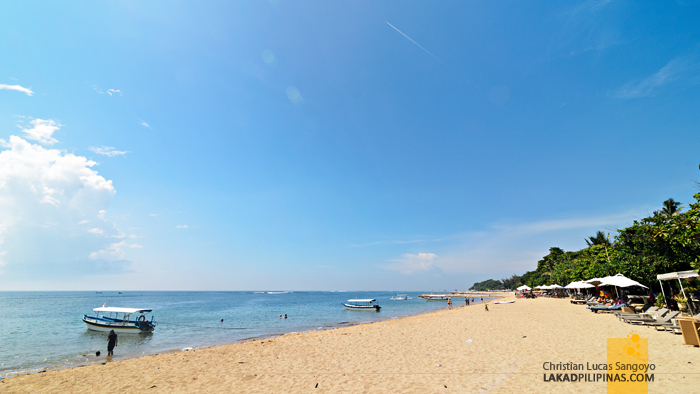 Located inside the Nusa Dua Tourism Complex, a high end development complete with a shopping complex, gardens, and a golf course. 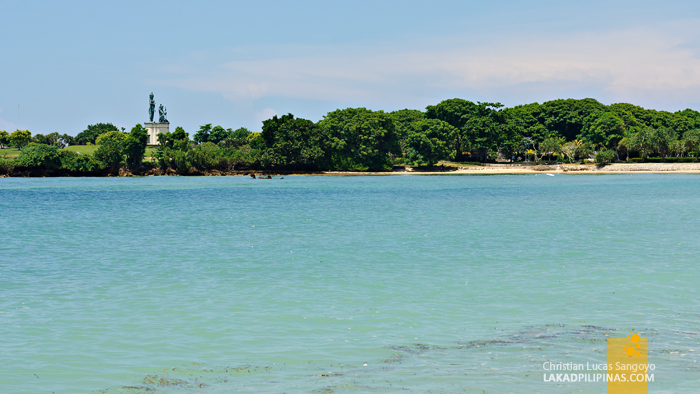 The crescent-shaped beach has cream-colored sand and calm blue-green waters. Off the horizon, we spied two massive copper (I think) statues lording over the cove. Before leaving, be sure to try the babi guling bungkus on one of the cheap warung eateries right outside the beach fence. It was so good I was able to finish two servings. 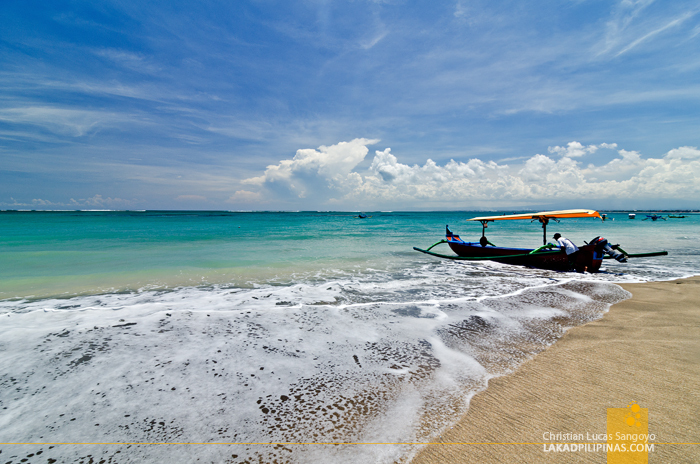 The granddaddy of luxury in Bali, Sanur Beach is where the earliest luxury beach resorts sprung up in Bali. 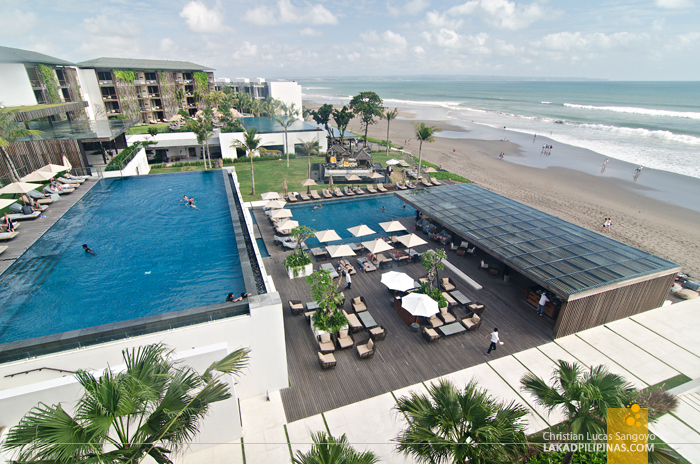 It has now been surpassed by Seminyak but still appeals to older crowds and those with families. Personally, it didn’t really made its mark on me. It would be interesting to visit it though during the annual Bali Kite Festival, with kites as big as ten meters flying above its waters.